In celebration of Conflict Resolution Month, Student Legal and Mediation Services is presenting a blog series about individuals that inspire peace in their communities and the world. This eighth post in the series is about Carlos Saavedra Lamas, and his contributions to peace and conflict resolution. Carlos Lamas wore many different hats during his life. 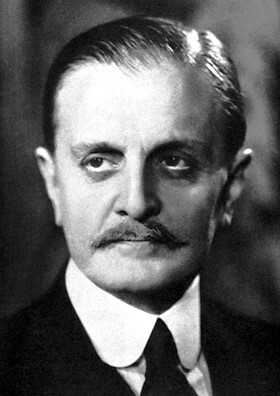 He became educated in law, taught at the National University of La Plata and Buenos Aires, was the Argentinian Minister of Justice and of Public Education, then later served as the Minister of Foreign Affairs. In 1928 he was the president of the International Labour Congress, then the Pan-American Conference, and later the League of Nations Assembly. He was also an author, a mediator, and a Nobel Peace Prize winner. Lamas is arguably most famous for his role as a mediator between Bolivia and Paraguay in the Chaco War (1932-35). This hostile war between the two nations began over Chaco Boreal, a region of roughly 100,000 square miles. After the War of the Pacific, in which Chile was victorious over Bolivia, the country’s entire coastal region was annexed, or added to Chile’s country. This land was valuable to both countries due to the natural resources that were exported from it. Despite inter-American mediation efforts, both countries moved troops into the Chaco, and after several years of fighting, Paraguayan forces had moved beyond the Chaco Boreal and into Bolivia. The International Mediation Committee, consisting of Brazil, Chile, Peru, Uruguay, and the United States, was presided over by Carlos Lamas during the time of this conflict. Through his mediation efforts, a truce was reached in 1935. In subsequent negotiations, which Lamas was also part of, a permanent peace agreement was reached in 1938. While Lamas passed away in Buenos Aires in 1959, we are still able to see how powerful a tool mediation and conflict resolution can be because of him. Lamas used mediation on a global scale, as a tool to resolve conflict and reach mutual agreement between countries. However, mediation is a tool often used between groups and individuals. Parties are able to reach a consensus because of the involvement of an unbiased third party, before situations escalate. As an SHSU student, have you ever felt that you have been in a situation where mediation could have helped? How can individuals and organizations resolve conflict with communication, rather than violence? For SHSU students, legal and mediation services are available in the Student Legal and Mediation Services office, located in the LSC, Room 330. 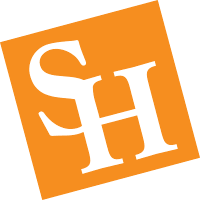 Students can contact the office by phone at (936) 294-1717, by email at slms@shsu.edu, or visit our website at shsu.edu/slms.